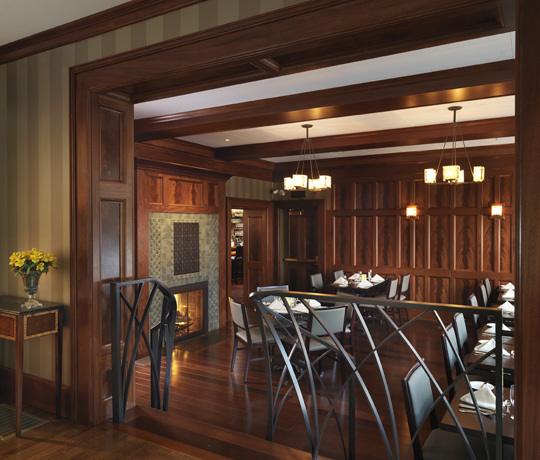 Ten years after completing a comprehensive restoration of the historic University Club in the heart of Providence, KITE was asked to re-conceive the public rooms to enhance its appeal to a new generation. 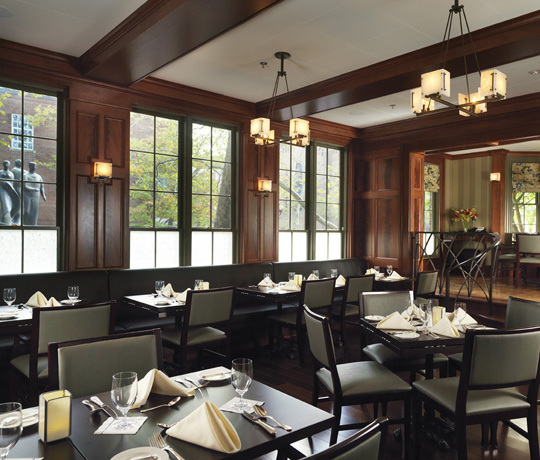 The centerpiece of KITE’s renovation plan was an audacious excavation and restructuring of a former internal courtyard, creating a new skylit bar area and informal dining suite that is showpiece for the tradition of craft that makes Providence special, The entire concrete floor was lowered to improve circulation and gain ceiling height between the newly connected rooms. 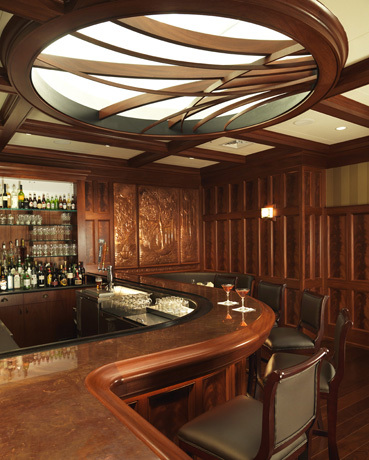 Paneled with exquisitely crafted mahogany, features of custom glass, metal, stone, tile, and woodwork from the area’s most respected artisans create a warm and inviting destination for members to relax with their guests. 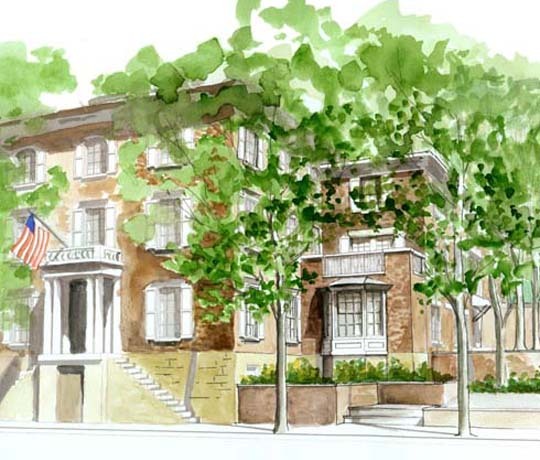 Large new windows were cut in the exterior walls in sympathy with adjacent historic openings to engage the beautiful adjacent Frazier Terrace, bringing light and greenery into the room. 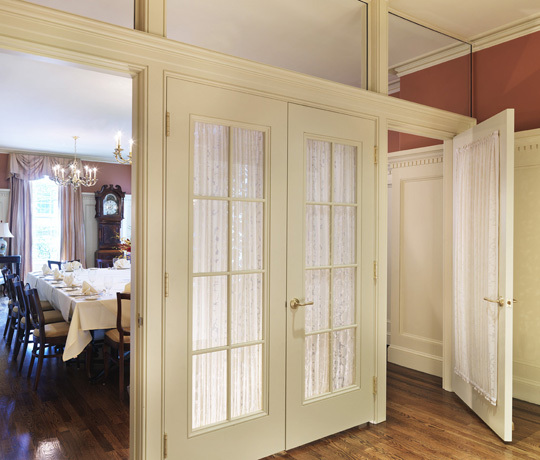 Custom wood sashes were fitted with hand-made patterned glass and bronze springs to further the elegant look. 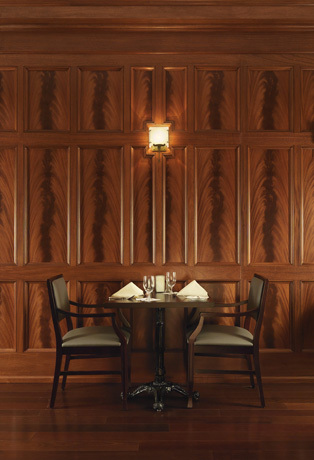 In the main dining room, columns from the exterior were brought in as interior accents to define the space along. An overhaul of the lighting, a new central fireplace, and a built-in host station completed the transformation. 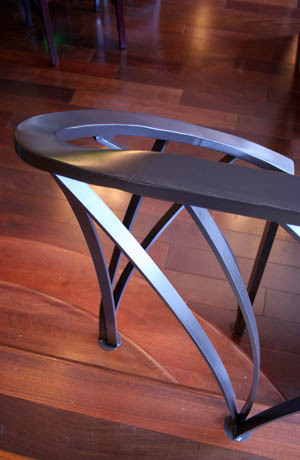 Throughout the building, careful moves were made to improve circulation and create new function rooms. Working in concert with furnishings and finishes by interior decorator Susan Symonds and thanks to the exceptional effort by contractor E.W. 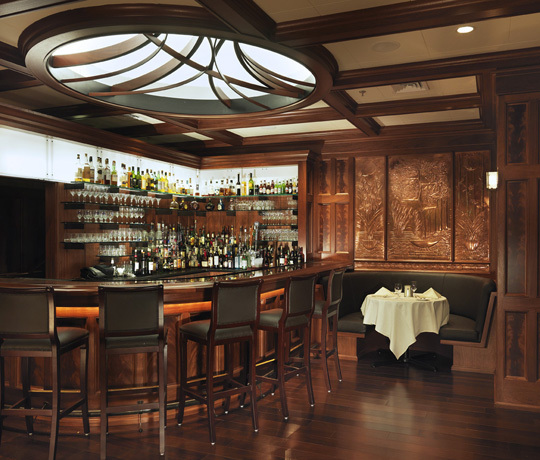 Burman, Jutras Woodworking, and the entire project team, the club has an invigorated new spirit.